The Pirelli Cinturato CA67 will equip the ‘gullwing’ Mercedes 300 SL; an emblematic car at the 2019 tribute to the historic Milan to Sanremo race. The Cinturato is the first sporting tire in modern history as well as Pirelli’s longest-standing brand, which represented the company on posters and in adverts for decades. Pirelli’s Cinturato was born as “tread pattern 367” and then sold by the Italian firm under the CA67 name from the early 1950s. Now this tire is back at the latest tribute to the famous Milan to Sanremo road race: one of the oldest motorsport competitions in Italy, where Pirelli is a sponsor. In this 11th running of the event, which gets underway from the Monza circuit near Milan on March 28, Pirelli returns one of most potent symbols of mass motoring to the road: a result of the economic boom of the 1960s. 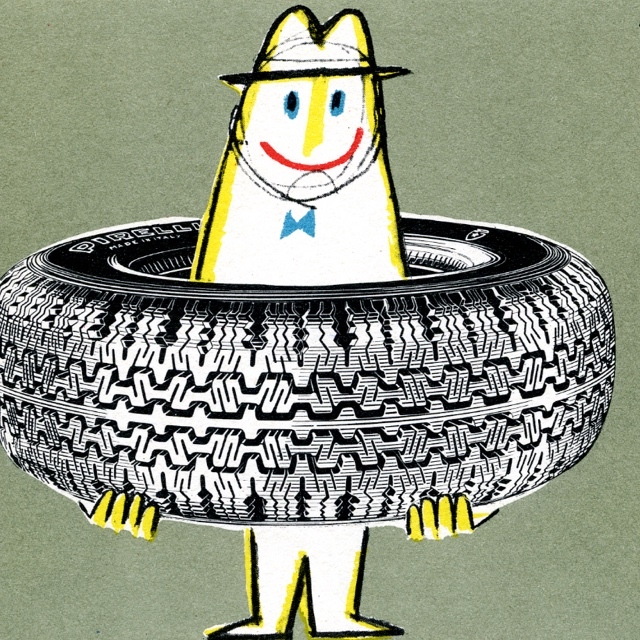 The Cinturato was the first radial tire made by Pirelli and also the first to have an overtly sporting character, having been initially designed to equip the Alfa Romeo range. The tread compound was extremely resistant to high temperatures and cuts, while the radial canvas structure with crossed belts ensured extra rigidity. This in turn made the tire feel more precise and well-suited to the first sports cars of the modern age. The father of this patented product was Luigi Emanueli from Milan: a master of technology and a renowned tire wizard; to the point where he is now remembered as the creator of the Cinturato. But before becoming the most long-standing brand in Pirelli’s range, the Cinturato had to earn its fame in an age (the 1950s and 1960s) when comfort was prioritized over performance. It was the start of the era of specialization that we know today, and manufacturers were beginning to produce the first true sports cars. However, for a ground- breaking tire like the Cinturato CA67, it wasn’t always easy to shake off the dominance of established tires with more conventional structures, such as the Stelvio and Sempione. It didn’t take long for the change to come. Already by 1954, the CA67 had become the public face of Pirelli, with its distinctive silhouette and tread pattern representing the company at trade shows and in adverts. The CA67 remained part of the range until 1980, and today it is available as part of the Pirelli Collezione family. This is where enthusiasts can find tires that combine classic looks with modern technology and materials, helping to retain each classic car’s all-important originality. The Cinturato brand, of course, never went out of production. Today, it’s still available with the P7: one of Pirelli’s tires with the greatest number of homologations. Sporting performance and customization remain key hallmarks of Pirelli’s DNA today, and this became well-known thanks to the Cinturato. “Tread pattern 367” heralded the start of Pirelli’s Perfect Fit strategy, which represents the focus of the Milanese company and helps it stand out from competitors, especially with the P Zero range. As a result, makers of premium and prestige cars can rely on tires that are precisely tailored to every individual model. The Cinturato CA67 was the forerunner of a family of tires with specific applications, modified to perfectly suit the vehicles they are fitted to. As the name suggests, a Perfect Fit that inaugurated the unique made-to- measure approach that still characterizes Pirelli tires today. This entry was posted in Auto and tagged 360, 360 Magazine, auto, Cinturato CA67, GULLWING mercedes, HISTORIC MILAN-SANREMO RACE, Italy, Luigi Emanueli, Mercedes, Milan, monza, P Zero range, pirelli collezione, Pirelli tires, Pirelli’s Perfect Fit, Sanremo, Sempione, Stelvio, Tara McDonough, tires, Vaughn Lowery on April 15, 2019 by wp360mag.